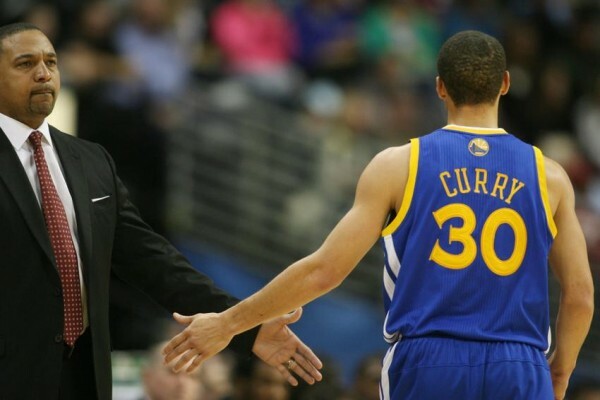 Golden State Warriors Fire Mark Jackson – Who Comes Next? 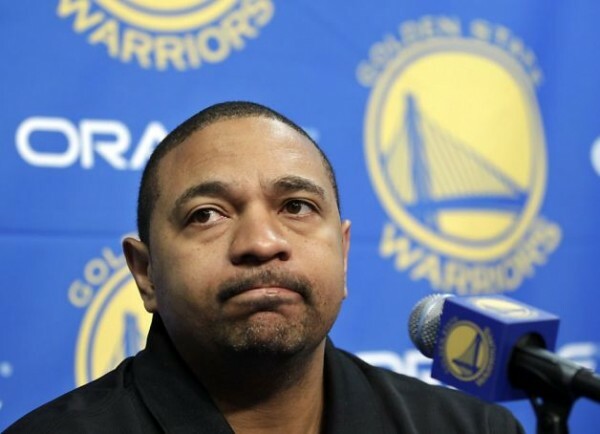 The rumors have been circulating for quite some time, but now it’s official: The Golden State Warriors fired Mark Jackson despite taking them to the playoffs for two consecutive seasons as taking a step backwards in the eye of ownership was something that couldn’t be glanced over, leaving an opening for guys like Steve Kerr, Lionel Hollins, Stan Van Gundy and maybe even Fred Hoiberg. Jackson was the head coach of the Warriors for three seasons, posting a 121-109 record. He took the team to the postseason in 2013 and 2014, the first time they’ve been in the playoffs for consecutive years since Don Nelson was the head coach in the early 1990’s. The support he got from his players and especially his star Stephen Curry weren’t enough to help him keep his job, but there was much more than numbers, wins and losses to the decision. Yes, the Warriors took a step backwards when compared to last year. Injuries had something to do with it. But there are those who say that Jackson should have done more with the squad given to him, especially in his third year with the team. From frustrating losses to weaker teams at home to simply getting knocked out in the first round of the playoffs despite taking a 1-0 against the Clippers, it seems like only something remarkable would have saved his job. So why did the Warriors let him go? It seemed like team owner Joe Lacob was the pushing force in this, along with team president Rick Welts and general manager Bob Myers. They had a chance to give him a long-term extension last year but instead preferred to “just” pick up an extension for the 2014-2015 season. Urging him to sign a tactician as an assistant after Mike Malone left (who had his problems with Jackson) and not seeing him respond accordingly was another sign of things being less than dandy between the head coach and management. Being slightly on the too confident and maybe even arrogant side, known more for his motivational speeches than his actual work with players when it came to adjustments and strategy didn’t help him as well, as he and his entire staff were let go. Letting go of assistants before the end of the season with rumors about rifts within the team added to the speculation that Jackson wasn’t going to last the season. Sometimes it’s about taking a next step, and one good head coach might be suitable for a certain state in team’s development, but not for the next one, which the Warriors think they’re in right now. For more than just one reason, they didn’t think Jackson was the one who could take this talented team to the next level, which means contending for an NBA title. So now what? Stan Van Gundy hasn’t worked in a while, but he’s a top priority for quite a few teams, although there are those who think that his harsh approach with players might be a flaw that can’t be overlooked. Lionel Hollins comes from a certain old-school, anti-analytics approach, which isn’t going to help him in the new and changing NBA. Steve Kerr is a popular name right now, despite the bad job he did as the Suns’ GM. Talking nicely on TV always helps someone seem more competent than he really is. Fred Hoiberg might be their top choice, along with the Timberwolves. But getting him to leave Iowa State after doing such a great job at Ames for the last few years and feeling perfectly at home with his Alma Mater is going to be very difficult.